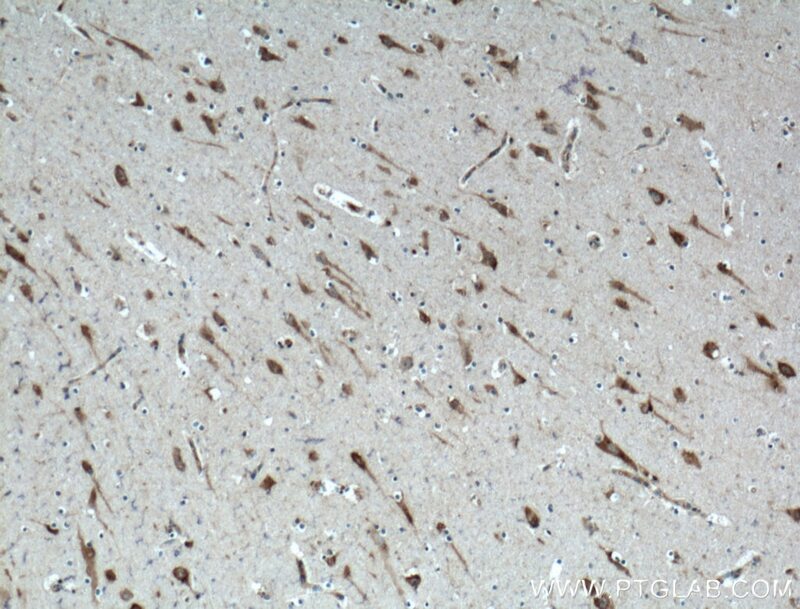 Immunohistochemical analysis of paraffin-embedded human brain tissue slide using 27117-1-AP( PTN antibody) at dilution of 1:200 (under 10x lens) heat mediated antigen retrieved with Tris-EDTA buffer(pH9). 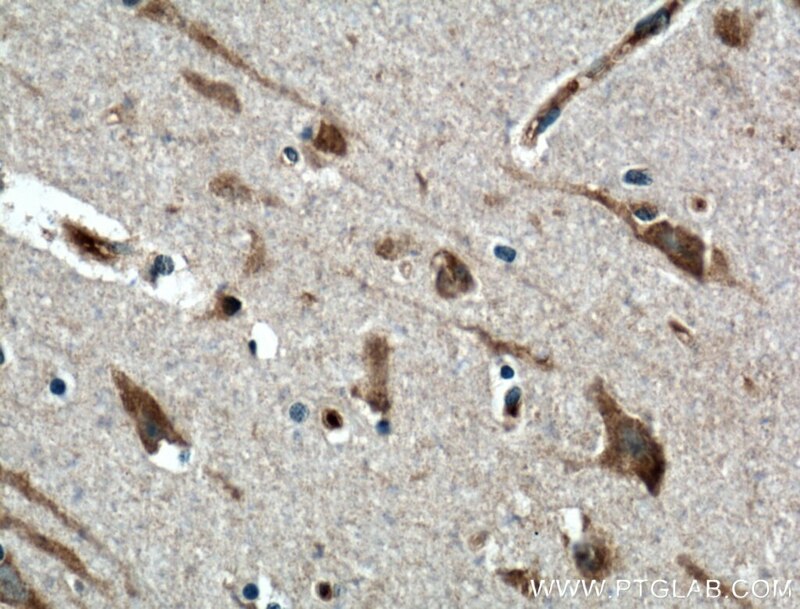 Immunohistochemical analysis of paraffin-embedded human brain tissue slide using 27117-1-AP( PTN antibody) at dilution of 1:200 (under 40x lens) heat mediated antigen retrieved with Tris-EDTA buffer(pH9). Pleiotrophin (PTN) is a multifunctional, cationic, glycosaminoglycan-binding cytokine and growth factor involved in numerous physiological and pathological processes, including tissue repair and inflammation-related diseases. PTN is highly upregulated in the brain in different disorders characterized by overt neuroinflammation such as neurodegenerative diseases, drug addiction, traumatic injury, and ischemia. PTN is important for CNS repair and for survival and differentiation of dopaminergic neurons.